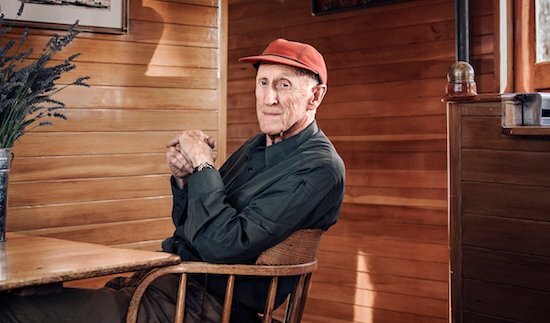 Tim Ferriss, who wrote the The Four Hour Work Week and gave a Long Now talk on accelerated learning in 02011, recently interviewed Long Now co-founder Stewart Brand on his podcast, “The Tim Ferriss Show”. The interview is wide-ranging, in-depth, and among the most personal Brand has given to date. Over the course of nearly three hours, Brand touches on everything from the Whole Earth Catalog, why he gave up skydiving, how he deals with depression, his early experiences with psychedelics, the influence of Marshall McLuhan and Buckminster Fuller on his thinking, his recent CrossFit regimen, and the ongoing debate between artificial intelligence and intelligence augmentation. He also discusses the ideas and projects of The Long Now Foundation. 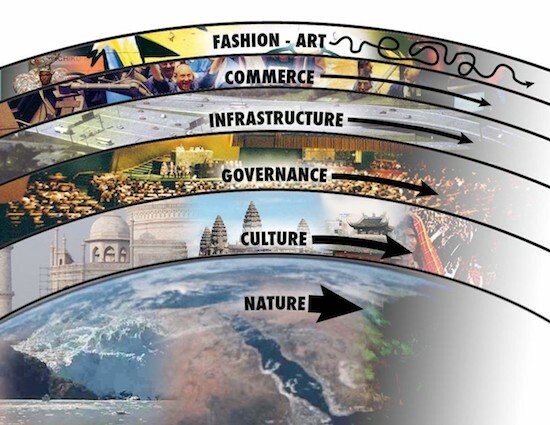 The idea of the Long Now Foundation is to give encouragement and permission to society that is rewarded for thinking very, very rapidly, in business terms and, indeed, in scientific terms, of rapid turnaround, and getting inside the adversaries’ loop, move fast and break things, [to think long term]. Long term thinking might be proposing that some things you don’t want to break. They might involve moving slow, and steadily. What we’re proposing is there are a lot of problems, a lot of issues and a lot of quite wonderful things in that category of being big and slow moving and so I wound up with Brian Eno developing a pace layer diagram of civilization where there’s the fast moving parts like fashion and commerce, and then it goes slower when you get to infrastructure and then things move really slow in how governance changes, and then you go down to culture and language and religion move really slowly and then nature, the tectonic forces in climate change and so on move really big and slow. And what’s interesting about that is that the fast parts get all the attention, but the slow parts have all the power. And if you want to really deal with the powerful forces in the world, bear relation to seeing what can be done with appreciating and maybe helping adjust the big slow things. 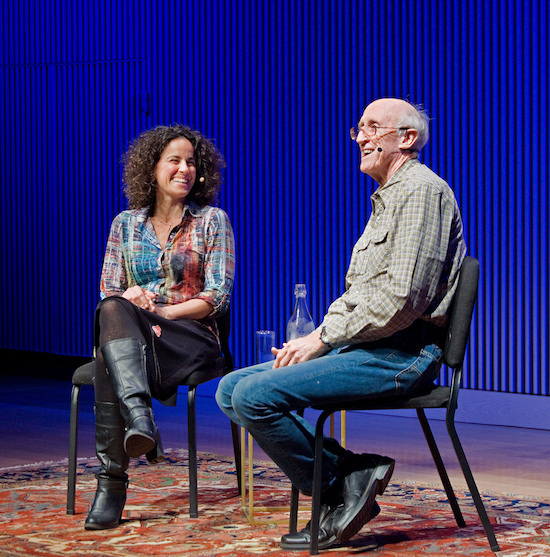 Stewart Brand and ecosystem ecologist Elena Bennett during the Q&A of her November 02017 SALT Talk. Photo: Gary Wilson. Ferris admits that in the last few months he’s been pulled out of the current of long-term thinking by the “rip tide of noise,” and asks Brand for a “homework list” of SALT talks that can help provide him with perspective. Brand recommends Jared Diamond’s 02005 talk on How Societies Fail (And Sometimes Succeed), Matt Ridley’s 02011 talk on Deep Optimism, and Ian Morris’ 02011 talk on Why The West Rules (For Now). 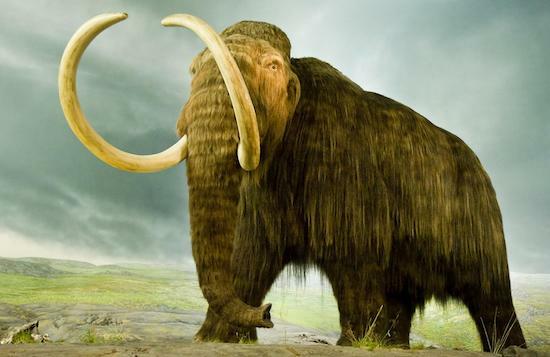 Brand also discusses Revive & Restore’s efforts to bring back the Wooly Mammoth, and addresses the fear many have of meddling with complex systems through de-extinction. Long-term thinking has figured prominently in Tim Ferriss’ podcast in recent months. In addition to his interview with Brand, Ferris has also interviewed Long Now board member Kevin Kelly and Long Now speaker Tim O’Reilly.